The Art of Tarot in Modern Soc.. Sometimes with a busy schedule, between classes, work clubs and social lives, we can tend to forget to take care of ourselves. 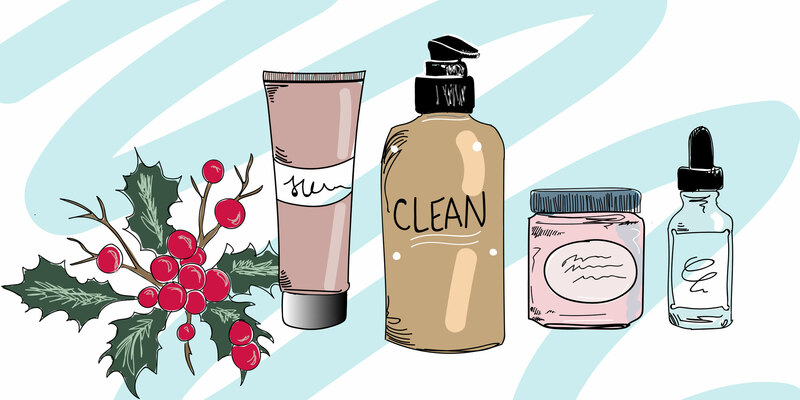 The new year is a great time to start practicing self care, and one easy way is to start with skin. Skin care is pivotal when preventing acne and clogged pores, which keeps your appearance looking clean and fresh for the new year. With the winter season, your skin is bound to develop changes in both complexion and moisture retention due to decreases in temperature and an overall dryer atmosphere, according to Allure. Winter lifestyle habits, such as long, hot showers and indoor heating, can also cause skin to suffer from a lack of hydration. Students at DePaul have felt the quick changes upon their skin in this colder weather and made a few quick suggestions on what to do based on personal experiences. Quinn White, sophomore, said that his biggest skin issue in the winter is dryness. Dryness during these next winter months is a struggle for everyone because of dropped humidity levels. For White, dry skin can be easily combated through the use of moisturizers. “The use of facial moisturizers, as well as doing a hydrating sheet mask once every two weeks at least, will help prevent any dryness,” said White. He said that adding moisturizers and other serums into your skin-care routine will assure a strong battle against the ever-changing, dry Chicago weather. Before buying products, do some research on your own skin type to ensure proper treatment. There are five main skin types: normal, dry, oily, combination and sensitive. Normal skin is made up of small pores that hardly ever become oily or completely dry, and when they do, it can be easily combated with products that are not upon extremes — too greasy nor too dry. Dry skin types usually feel a tightness upon their face and can have their skin easily peel if not treated with proper care. It is recommended to use creams for those who have dry skin and drink a lot of water. Oily skin types produce excess oil and constantly suffer from blackheads and other pimples. It is important to not use harsh products upon this skin type, but rather reach for gentle exfoliators and oil-free moisturizers. Combination skin types have excess oil upon some parts of the face usually located in the T-zone, which is the chin, nose and temple. It is advised to use two different moisturizers, gently exfoliate, avoid products that have a fragrance and reach for products that have natural ingredients like chamomile or green tea. Sensitive skin types are usually easily irritated and suffer from constant red marks. It is important to stick to natural products that contain aloe vera for this skin type because it allows for hydration while also eliminating redness. FrancesMary Apostolos, sophomore, kept this in mind as she went on the hunt for products that catered to her skin type this season. Toners allow for restoring the skin’s pH balance, adds a layer of protection and shrinks pores. For Apostolos, it is important to maintain toners in her skin-care routine because it keeps her skin refreshed. She said that she recommends these products for all skin types and that it has always helped her clear any pimples and maintain a hydrated face. “The products are all categorized to help any skin type whether oily, dry or mixed,” said Apostolos. Others recommend staying away from any harsh scrubs — crystal-like granulates usually used to remove dead skin from your body. Sam Sobieski, senior, used salt scrubs to cleanse her skin before realizing that it was hurting her. “I used salt scrubs but found that it can cause microtears in your skin which causes early aging,” said Sobieski. Salt scrubs are harsher than sugar scrubs because it has granulates with sharper edges that easily cut the skin, according to skin care expert Suki Kramer, founder of Suki skin care. Kramer mentions that to prevent tears in your skin you should just gently exfoliate with sugar scrubs instead. All of these DePaul students can agree on one thing: hydration, toners and staying away from harsh scrubs will help your skin fight a good battle against Chicago’s strong winds and start the new year off refreshed. Header illustration by Natalie Wade, 14 East.